In most divorces, there is one thing the couples have in common: pain. The divorcing couple has built a life together, and at one point, they loved each other. And now, as time has passed, that love has deteriorated into hard feelings or absence of feelings altogether. Often, the only thing holding the couple together is the child they share. This fictional story explores a common situation that many Illinois parents face. We encourage anyone with questions to contact a Chicago child allocation attorney. Recently, we had another one of those Chicago weekends where it felt like summer would never quite arrive and chilly rainfall delayed the celebration for kids all over town, who couldn’t wait to tear off on a bike ride or go swimming with friends. 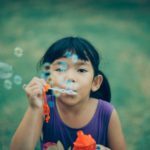 This affected me personally as I saw my 8-year-old daughter—Erin—watch a puddle building in the yard just outside our living room window, her gloom accompanied by the thudding drip of the rain. Let me tell you, it was a sad sight. In 1997, David Weigand filed for full custody of his young son after the boy witnessed his mother being beaten time and time again by his stepfather, who was his mother’s third husband. It got so bad that he called 911 when the stepfather threatened to kill both the boy and his mother. But despite the fact that the boy was living in a volatile environment ruthlessly ruled by a man who was a convicted felon, drug-user, alcoholic, and domestic abuser, and despite the fact that Mr. Weigand had a solid job and did all he could to care for his son, the Mississippi Supreme Court ruled against Mr. Weigand when it came to the custody of his son. David Weigand was a 41-year-old gay man. The following short fiction explores a common situation many non-biological parents face every day. I was in the break room during lunch, taking a moment to silently grapple with an issue that would affect my family and me for the rest of our lives. I’ve known all my life that I don’t conceal my thoughts and feelings very well, particularly when I’m carrying the weight of a crucial and deeply emotional issue on my shoulders. I was practically weeping into my cup of soup and I had no idea. 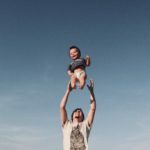 In 2016, the state of Illinois changed the term “custody” into “allocation of parenting responsibilities” in order to separate parenting responsibility issues such as education, religion, living arrangements etc. from parenting time. When a divorce occurs, it can be especially traumatizing for the children involved. Parents should always consider how their actions and the decisions they make both during and after the divorce will affect their children. 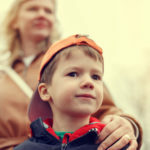 Parents can sometimes come to an agreement over these custody issues on their own if the divorce was amicable, but other times when a decision cannot be reached or disputes arise, the courts need to step in and evaluate the possible solutions. Courts always try and do what is in the best interest of the child when it comes to determining custody related issues, so they will first examine the specific facts of each individual case before rendering their decision. When a Chicago couple divorces, one of the most pressing questions is: “How will we handle custody?” Deciding where the children will live and how major life decisions will be made for them is essential to providing the safety, stability, and support children need. 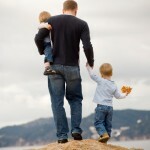 In Illinois, child custody is determined after considering the best interests of the child. In many cases, a judge has jurisdiction to step in and determine custody rights for the parents. 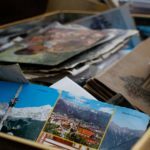 This can happen if one of the parents moves to another state or moves back from out of state. The child’s place of residence and home state will determine if an Illinois judge has jurisdiction. “Gossip Girl” star Kelly Rutherford famously lost custody to both of her children, aged 8 and 5, to her ex-husband. He is a German businessman who moved the children to France and then later moved them to Monaco, where they now have citizenship. Since he no longer had a visa to travel to the United States, the children were deported to live with him. According to her attorney, this decision is unprecedented and no child who was born and raised in the United States should be deported from the country where his or her mother resides. After a divorce, it is common for a parent to want to move and start fresh. However, you cannot simply relocate a child out of Illinois without permission. 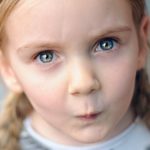 Your ex-spouse may have custody rights that prevent you from moving your child out of Illinois. Therefore, it is not advisable to attempt to move your child without first seeking legal guidance. You do not want to violate the terms of your agreement and put your custody rights in jeopardy. 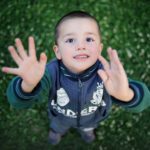 What Factors Are Considered in an Illinois Child Allocation Case? Child custody discussions often turn into child custody battles. When negotiations between parents fall apart, it’s up to the courts to step in and make decisions. 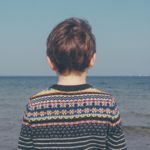 It is common for disputed issues regarding joint custody, sole custody, and visitation rights to be decided in Illinois courts.